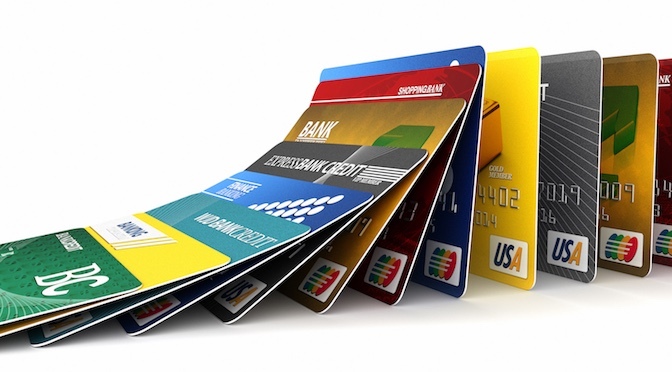 Amex’s Card Updates Are Trying to Target Specific Customers – But, Why? 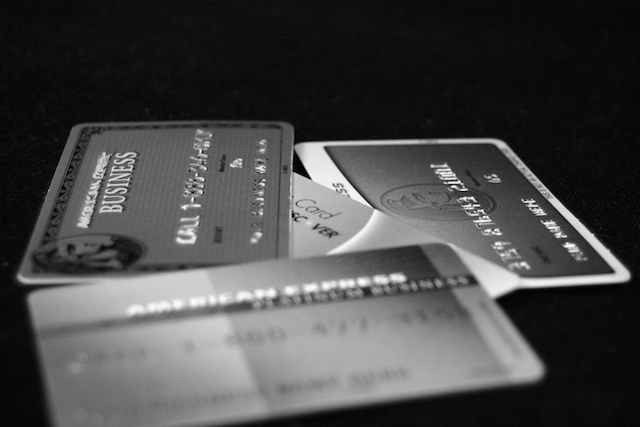 Another American Express card is getting a big fee increase – with what benefits in return? With all of these changes, it seems that Amex is trying to target specific customers, but, why? Some big credit card/charge card news today is that American Express is “updating” another card – with another annual fee increase. This time, it is the Business Platinum that is getting the treatment. It is going from $450 a year to a big $595 per year! So, what is American Express giving their customers for this fee increase and what is this showing about their strategy, as a whole, with these card updates? What is American Express Giving for the $155 Fee Increase on the Business Platinum Card? First off, that WeWork benefit is kind of vague in how it is presented – one year of complimentary access? What happens in the second year? Is it something that members will have every year? No word on that yet. With the Dell credit, this is also vague. How will these credits be handled? Like the Uber credits – a monthly credit of a set amount? That would be just horrible for someplace like Dell. On the other hand, even if it is a flat amount of $200 (which the wording makes it sound like it won’t be that easy), we have already been getting Dell offers via Amex Offers for years – sometimes even better than this! Sure, this makes it sound like it is “free” $200 in statement credits but for anyone that would normally be shopping at Dell anyway, something like the 10% back, or a $60 back on $300, or a $100 back on $300 – these offers would be just fine anyway. What Is American Express Doing with these Benefit “Updates”? Ok, so who is American Express trying to go after with these benefits? I would have to say that the majority of their Business Platinum customers will not be automatically able to get any sort of meaningful value out of the WeWork benefit. Sure, if you are going to want to do a little office sharing while traveling, it could work. But, if this is just for travel, my hotel room/suite always works well and the business lounge at hotels is there if I need it. I don’t have to actually go out to go to an office to get some things done. But, if you are someone that currently does all their work at Starbucks or something similar, this could be a great benefit. The problem is – that is not most Business Platinum customers. The same goes for the Dell benefit. Nice benefit on the face of it, but what about people that don’t shop at Dell or have Amex cards that give better Amex Offers? Again, while this may be a nice little perk, most people are not going to want to trade $145 in cold, hard cash for a $200 Dell credit. (this is assuming that you are not able to use the WeWork locations in a meaningful way). This means that American Express is really trying to hone in their market area on their own Membership Reward cards. They are trying to target, in this case, that small business owner that buys some office supplies from Dell and needs some office space. But, what percentage of their current customers fit that description? In fact, what percentage of potential customers fit that description? To be honest, I think that this may reveal a little bit that Amex is hunting more of the corporate customer that arranges the deal with them for the benefits, in this case, WeWork. I am not sure what the financial arrangement is with Amex and WeWork but I can imagine that WeWork will definitely be advertising this card and this benefit. Whatever their deal with Amex, it is one that is making Amex happy enough in the face of losing thousands of customers when this new fee comes due. The same goes for the personal Platinum card. That one added the Uber credit (on a monthly basis, not in one lump sum) and other benefits like bringing visitors into lounges and getting 5X points on airfare. But, they also jacked the annual fee on that one as well. The problem was that Uber was a very specific benefit and many people I know were going out of their way to use that each month or often forgetting about it. How great of a benefit is it to a cardholder if they have to work for it to enjoy it – especially if they otherwise wouldn’t? Last month, we saw the “updated” Business Gold card as well that added a ZipRecruiter membership and Google Suite membership for 1 year. This came with a $120 increase as well (though it also allows for 2 category choices to earn 4X points instead of one category earning 3X points). They also allow a 25% rebate on points used for flights purchased with points (business on any airline or economy on your selected airline). Nice to have those earning and redeeming options but horrible to have to pay $120 for that if you don’t use the other benefits (ZipRecruiter and G Suite) already. So, Who Is American Express Trying to Target as a Customer? It seems clear, at least to me, that Amex wants more small business owners in their business card family. The problem is that they are not using very wide parameters for what those small business owners may be searching for. For example, I know many small business owners that have a home office, buy business equipment during sales or with business discounts, and they are not currently hiring. Yet, they make a lot of money in their business. Somehow, Amex doesn’t see this type of small business owner as someone they want to reward with their small business cards they just updated. I actually think that American Express is trying to clear the decks of the people (like all of us) who are getting tremendous value from their cards and programs. It has always been easy to justify these annual fees if you used things like the annual credits, the increased earning on certain spending, the Amex Offers, and lounge access. And none of that is counting the extreme value we get with the points we earn in the Membership Rewards program. On the other hand, I know of several small business owners that like Amex for reasons beyond what we may like them for and they keep earning points and only occasionally use them – often to get something on Amazon (yeah, I know – I try telling them!). This is a customer that Amex wants – someone that likes the benefits and perks of the card (like WeWork) but that will not be taking full advantage of the reward program. With their race to raise fees, they are showing they really don’t care all that much about the rest of us. What happens next year when so many cancel? I am with you…I am dumping this card next year! Consider me cleared off the deck. I got that email today about the “new” benefits. There is no way I’ll keep this card and pay that extra $145…. for what? WeWork? Would never use it. We use Apple computers; so I could care less about Dell. I used to like all the airline lounge visits when you could use AA and UA; now with DL (I hardly fly DL)… like the AX Centurian lounges but there aren’t very many of them, so barely get to use them. And the $200 air credit; they make it so hard to take advantage of it (UA especially); plus the 35% return of points is only for the carrier you sign up with in January. They are charging more and offering less. I’ve had this card for a long time, but I guess it’s time to drop it when it’s time for renewal… too bad, it could be so much better. I was considering getting rid of it last year, but this is the last straw! I have been a PLT card holder since 2002 average monthly charge 30K I could care less about Dell such less the office suites. Hi Charlie, we met at the BBC in DeLand, FL. I’m David’s FIL. I just applied for the AmEx Gold before I came to your website. Mistake! Is there any way I can get AmEx to give me the 50K bonus points instead of the 25K? Hi and good to hear from you! Unfortunately, Amex is not really good about matching offers. you can certainly ask through the Amex message center if they will match you but the answer is likely no. Hope you are doing well!